RadioShack will open many of its stores on Thanksgiving. RadioShack will open about 3,000 of its 4,200 U.S. stores on Thanksgiving, after opening just a few stores on the holiday last year. Doors will open at 8 a.m. and will stay that way until midnight. It joins a growing number of retailers who will open on Thanksgiving to kick off the holiday shopping season. RadioShack is struggling more than most retailers. It announced plans to shut 20% of its stores in March. But closing stores is an expensive proposition that requires hefty payouts for severance, as well as to break leases and liquidate merchandise. RadioShack couldn't come up with the cash it needed to shutter so many locations, so it scaled back its plans to close only 200 money-losing stores. 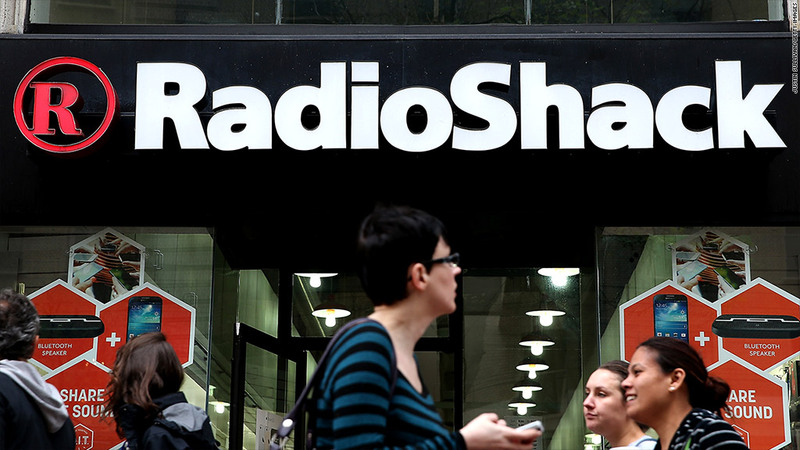 RadioShack even aired a Super Bowl ad that mocked its stores as being decades out of date. Sales are down 20% from a year ago, and credit analyst Moody's says the retailer could run out of cash by fall of 2015. CEO Joe Magnacca admitted that it might not be able to avoid bankruptcy in a September call to investors. The company has since announced a $120 million cash infusion from New York hedge funds Standard General and Litespeed Management, its two largest shareholders. But other investors aren't convinced about RadioShack (RSH)'s long-term prospects. Its shares are down more than 60% this year, and they didn't even get a boost when the company announced its latest cash lifeline.